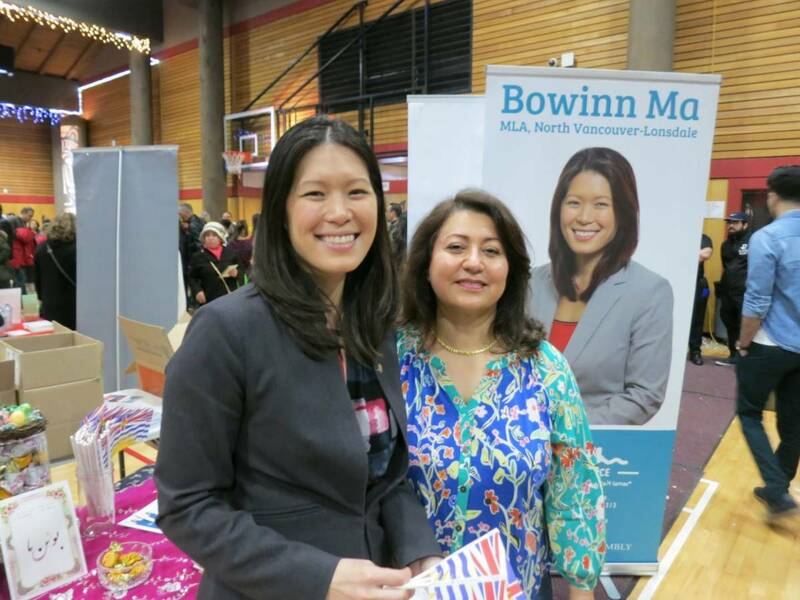 MLA Bowinn Ma is working on her Farsi, but she isn’t claiming to be fluent in the language. The cars were lined up all day on the south section of Capilano Road in North Vancouver. It was due to the large turnout at the Chief Joe Mathias Centre for an annual Nowruz celebration on the Squamish Nation lands. Nowruz, often referred to as Persian New Year, is celebrated by Iranian Canadians, as well as by Ismaili Muslims and Parsis, who call it Navroz. The holiday dates back for thousands of years. It’s commemorated in many Central Asian countries, including Kazakhstan, Tajikistan, Kyrgyzstan, Georgia, Afghanistan, and Azerbaijan—and as far west as Albania and as far east as India and Turkmenistan. In recent decades, it’s also become a festive event in Canada, the U.K., France, and the United States. Normally, Nowruz falls on March 21, which is the beginning of spring in the Northern Hemisphere. One group that had a large presence at the Chief Joe Mathias Centre was the Canadian Iranian Foundation. It’s a registered charity that helps new immigrants with cultural integration into Canada. It states on its website that it does not discriminate on the basis of race, ethnicity, religion, gender, age, or sexual orientation. The foundation also provides scholarships, bursaries, and financial assistance to students attending postsecondary institutions. One of its tables featured a display of Haft-seen (or Haft-sin), which is an arrangement of seven symbolic items whose names start with the letter seen in the Farsi alphabet. These items are traditionally displayed on Nowruz: sabze (wheat, barley, mung bean, or lentil sprouts grown in a dish), samanu (sweet pudding made from wheat germ), senjed(Persian fruit), serke (vinegar), sib (apple), sir (garlic), and somaq (sumac). Several politicians were in attendance, including North Vancouver–Lonsdale NDP MLA Bowinn Ma. She revealed that she’s been trying to learn Farsi, though she didn’t claim to have any great proficiency—yet. “I think people are being very kind to me,” she quipped. Ma added that she’s also learning phrases in the Sḵwx̱wú7mesh language, which is spoken by members of the Squamish Nation. Other politicians on-site included B.C. Liberal MLAs Michael Lee, Jane Thornthwaite, and Ralph Sultan, and former Conservative MP Andrew Saxton. Of course, it wouldn’t be Nowruz without the North Shore Multicultural Society, which was one of many organizations that set up tables. The Vancouver Police Department also had a table where an officer explained various programs, including Block Watch.